Ensure that drivers are aware of the scope of your no parking policy with Seton's No Parking Sign with arrows. Install useful signs that provide information about parking policies to aid in the traffic flow around company premises. 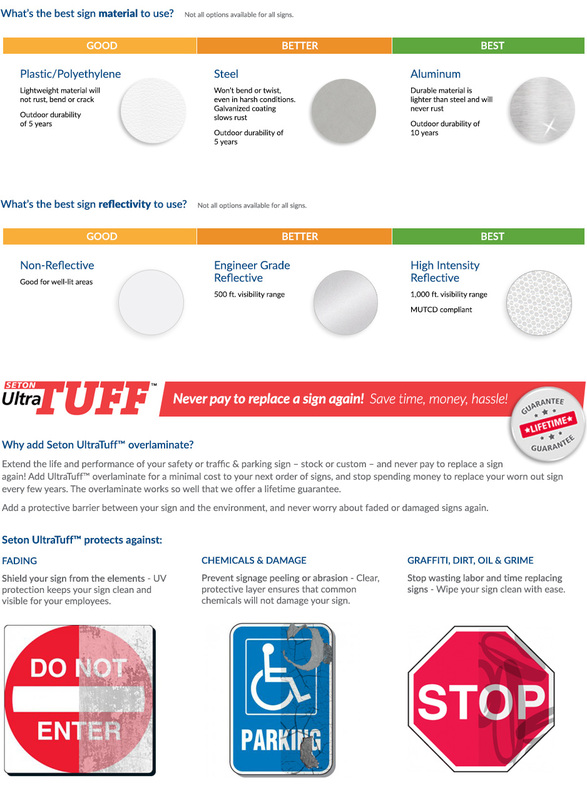 The secret in picking the right size is evaluating the type of application and location for your signs. Our best-selling size is the 12 x 18 because it is easy to install and big enough to communicate your no parking policy. But for large areas with a wider no parking policy coverage, it would be beneficial to go with an 18 x 24 sign to ensure that your message is not missed. 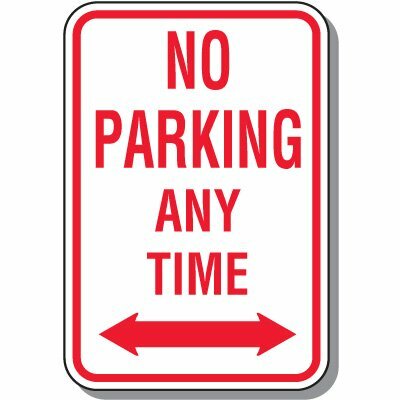 Our No Parking Signs are pre-drilled with two centered mounting holes on the top and bottom part. These 3/8" dia. holes fit the standard signposts that are commonly used in the market. Check our material selection guide below to know the best option for you.